The Euphoria Cosmopolitan Stick Shower Kit is perfect for upgrading your shower. 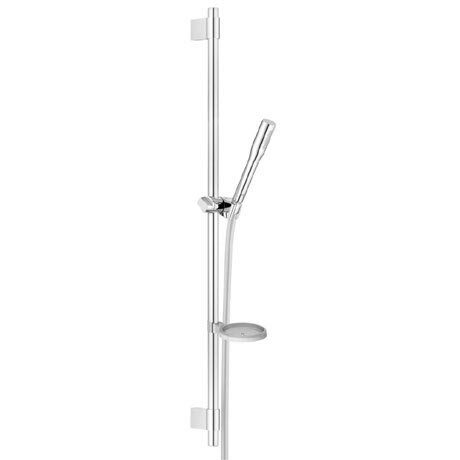 Consisting of a handshower, 900mm shower rail with wall holders, 1750mm Silverflex shower hose and a soap dish. The kit features SpeedClean anti-limescale rub clean nozzles, QuickFix Plus which allows adjustable distance between brackets for fixing to existing drilling holes and is fitted with an EcoJoy 9,5 l/min flow limiter. The StarLight special chrome finish gives a long lasting finish that is resistant to dirt and scratches.